We spoke with Jack Baroudi, Professor and Senior Associate Dean for Academic Programs about the University of Delaware's unique MBA with an emphasis on individual learning with multiple concentrations and one-on-one career mentoring. The University of Delaware’s Online MBA program typically enrolls students who are either looking to move into more senior positions, change careers or deepen their specialized knowledge in fields such as finance, business analytics or international business. They are looking for a flexible program that allows them to study part time or full time. They have about ten years of work experience, are between the ages of 30 and 50 and come from a broad mix of industries; with a slightly more students coming from the financial services than other industries. Students are primarily located within 250 miles of Newark, Delaware. 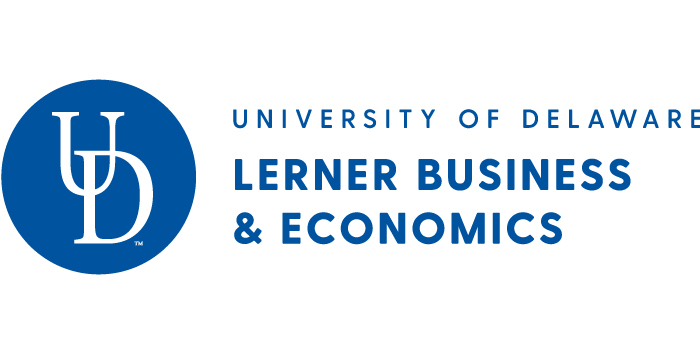 University of Delaware offers five areas of emphasis: business analytics, healthcare, finance, strategic leadership and international business. Which one is most popular and why? Our most popular concentrations are in strategic leadership, finance and business analytics. Strategic leadership meets the needs of students looking to move up to more senior roles. Finance or business analytics is the choice of those looking to change careers or deepen their specialized knowledge. With the growth of the health care industry, how does your healthcare major train students in this field? We are closely aligned with the healthcare systems in Delaware and much of what we teach in both our healthcare concentration and major is informed by this relationship. Our students work on projects and cases in teams but not as a cohort because they need the ability to easily move in and out of our five available seven week semesters per year to meet the demands of their jobs and families. Our faculty interact with students in multiple ways: email, video conferencing, phone calls and interactive office hours during the week. The interactive office hours are recorded and are made available to the students to watch at their convenience. What is unique about the structure of University of Delaware's online MBA program? Students engage in outcome-driven learning at its best by maximizing real-world knowledge to gain analytical tools for business decision-making and acquiring skills needed to excel in today's competitive global market. Our faculty teach in both the online and on campus MBA programs. The online program is taught primarily by our tenured, senior faculty. Our 15 credit majors and 9 credit concentrations allow for deeper focus in areas such as strategic leadership, healthcare, international business, finance and business analytics. We also offer virtual mentoring by executives and senior leaders for our online MBA students. Can you describe the career services and professional resources available to online MBA degree candidates? Our career services team provides support in a variety of ways. Jobs and internships are posted online and are available to both our on-campus and online students. We have a variety of career related and career preparation e-learning systems and webinars. We also provide virtual mentoring and day-to-day support through emails, video conferencing, phone calls and interactive office hours with the career services team. How does each student work with a personal career coach? We have also introduced video conferencing for career services coaches to work with online students. Additionally, career services has been developing online speaker sessions that enable online students to watch and participate during guest speaker presentations made by senior business leaders or career experts. What advice would you give a prospective candidate for an online MBA program? If a prospective candidate is considering an online MBA, I would recommend that they first make sure the program is AACSB accredited and that the faculty teaching have their Ph.D.’s and are either conducting research or practicing in their prospective areas of specialization. Why should a prospective MBA candidate choose University of Delaware's? We provide a highly Individualized approach to the online student experienced, from advising to student services and mentoring. The location of the college allows our faculty to engage in research and consulting with major organizations which keeps the content of our courses on the cutting edge of business practice. Our students secure positions in organizations up and down the east coast.